The metabolic effects of obesity are a result of increased adiposity in the ectopic sites. Ectopic fat deposition promotes insulin resistance and increases cardiovascular risk. Epicardial adipose tissue (EAT) is the visceral fat of the heart. Indian phenotype is different in many senses; despite of low body mass index (BMI), they have high abdominal and visceral fat, high insulin resistance, low level of adiponectin, high CRP, low HDL and high small dense lipoprotein and triglyceride with more metabolic complications compared to the Western counterparts. The purpose of this study was to detect the presence and extent of left ventricular dysfunction in relation with EAT among patients with Indian phenotype. Overweight and obesity was diagnosed based on BMI. The measurement of EAT thickness and left ventricular dysfunction was performed by transthoracic echocardiography. 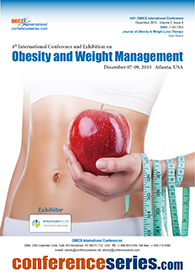 Among 146 obese and overweight patients assessed, the mean EAT thickness was 5.607 (SD 1.59). Patients having left ventricular diastolic dysfunction (LVDD) had a mean EAT thickness of 5.60 (SD: 1.66) compared to 4.80 (SD: 2.2) among normal persons (two-tailed P = 0.011, <0.05), which is statistically significant. Left ventricular systolic dysfunction (LVSD) patients had mean EAT thickness of 6.33 (SD: 0.94) compared to 5.35 (SD: 1.58) in normal patients (tow-tailed P = 0.0001, <0.05), that is statistically significant. Mean EAT was poorly correlated with waist circumference and BMI in this study. Greater EAT was found in subjects with higher insulin resistance. EAT was significantly associated with LVDD and LVSD even after adjusting for other metabolic risk factors.